Product #60526 | SKU 1-120 | 0.0 (no ratings yet) Thanks for your rating! Features a type-A male USB connector on one end and a type-A male Mini-USB on the other end. The Cinegears Universal Male USB Type-A to Mini-USB Type-A Cable (3.5'/1.06m) features a type-A male USB connector on one end and a type-A male Mini-USB on the other end. 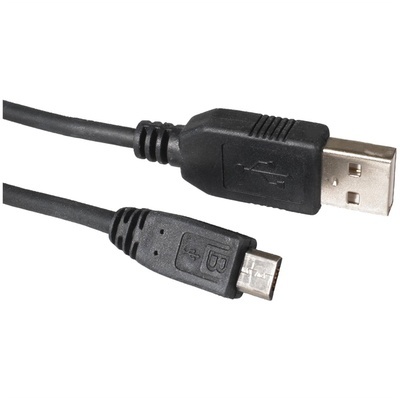 This cable can be used for both data transfer as well as power supply between compatible devices.